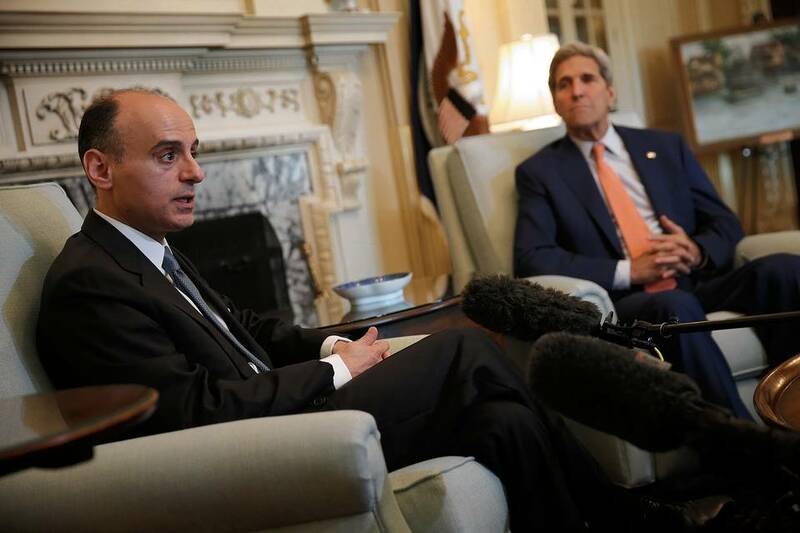 Has JASTA Become the Deal Breaker in Saudi-US Relations? The unanimous adoption of the Justice Against Sponsors of Terrorism Act (JASTA) by the US House of Representatives on September 9 resulted in a massive diplomatic row between the US and Saudi Arabia. For sure, this latest episode is not the first one in the history of the troubled relations of the two states that seem to be unable to overcome mutual mistrust that has been on the rise in recent years. The honeymoon period of the US-Saudi relations only lasted from 1945 to 1973, while the formula “oil for security” that was penned by the Saudi King Abdulaziz Al-Saud and President Roosevelt aboard the legendary USS Quincy actually worked. The bilateral relations suffered a major blow for the first time during the Arab-Israeli war of 1973, when Saudi Arabia acted as a mastermind behind the embargo that prevented Western states from getting Middle Eastern oil deliveries. This resulted in an oil crisis in the West and inflicted an extensive amount of damage to the US oil interests and virtually buried the strategic cooperation between the two countries. Yet, the ties were gradually rebuilt, largely due to the fact that CIA operatives took an active part in the liberation of Kuwait from the Iraqi military occupation back in 1990. But any further progress in establishing trustful bilateral relations has been effectively derailed by the 9/11 attacks, since it became known almost immediately in their aftermath that the absolute majority of radicals that brought terror on the US soil were of Saudi origin. According to the official version of these events, a series of despicable acts of terrorism was planned and executed by the Al-Qaida, that was headed at the time by a Saudi citizen Osama bin Laden. The damage inflicted by these facts on the US-Saudi relations was so extensive that it took the states almost a year before they even tried to mend the broken ties. At some point it seemed that this topic would never be revisited again by both Washington and Riyadh, since the official investigation found no ties between Saudi officials and the Al-Qaeda. Soon the headlines were screaming “invasion” as Washington decided it was time to topple the regime of Saddam Hussein in Iraq back in 2003. It goes without saying that Saudi Arabia was eager to support Washington in this military adventure. Then, the so-called “Arab Spring” erupted in the region, leading to the collapse of a number of Middle Eastern states. It seemed that the events of 9/11 would never be brought to light again. However, this does not mean that the ties between Saudi Arabia and the United States were effectively repaired, as new crises awaited the alliance that was almost a century old. As Washington withdrew from Iraq in 2011 and started discussions with Teheran about the fate of its nuclear program Riyadh couldn’t help but feel betrayed. It was as if Washington tried to distance itself from Saudi Arabia, willing to choose Tehran over Riyadh for playing the role of a regional gendarme. Yet, Riyadh had no intention of facing the Islamic Revolutionary titan on its own, since the latter has always has way more combat-capable forces while remaining in possession of a comparable natural wealth, especially in terms of oil and gas. In fears that such a turn can take place, Riyadh decided that it must find a way to sway Washington in its favor. For this purpose Riyadh signed two arms shipment contracts with Washington back in 2011, the total worth of which amounted to the whooping 60 billion dollars, making it the biggest arms deal in history. It would seem that America would have no second thoughts about retaining its strategic alliance with Saudi Arabia. But even then the behavior of its “strategic partner” remained a total mystery for Riyadh. The Syrian conflict turned out to be a bitter disappointment to the ruling Al-Saud clan, since in February 2012, the then Minister of Foreign Affairs of the KSA Saud al-Faisal was behind himself with rage when he realized that Hillary Clinton that was the US Secretary of State at the time, had no intension of supplying the so-called Syrian opposition with US made weapons. This became apparent at the meeting of the so-called “friends of Syria” that al-Faisal abandoned before it even ended. Moreover, the United States chose to seek cooperation with Russia to pursue the peaceful destruction of the Syrian chemical stockpiles that Moscow proposed. This fact aggravated the suspicions that were brewing deep inside the al-Saud royal clan that Washington would be relying on Iran and Russia when dealing with different Middle Eastern matters. The growing mistrust was aggravated even further by the rapidly diminishing US dependence on Saudi oil, since the so-called shale boom allowed the US to become pretty self-sufficient in its energy needs. Saudi officials were sounding loud protests and making radical decisions, like the one to reject the UN Security Council seat back in 2013, but to no avail. Washington was drifting away from the KSA and it was getting obvious to the whole region. After the death of King Abdullah in January 2015 and the coronation of his successor, Riyadh started to use even more drastic means, such as making attempts to make friends with Russia. 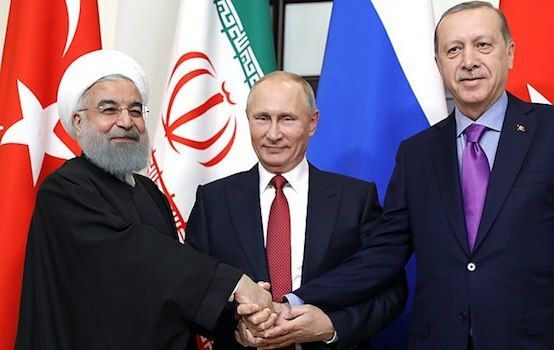 This step has become a wake-up call for Washington that started making efforts to rebalance its relations with Tehran, while showing its loyalty to the old and faithful ally, in order to prevent any real steps of rapprochement between Moscow and Riyadh. 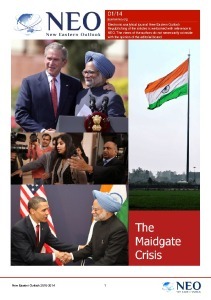 And then, out of the blue, the details of 9/11 attacks started reappearing in media reports, causing irreparable damage to the bilateral relations of the two states. In early 2016, the KSA learned that the US Congress was discussing JASTA, that would allow US citizens to file law suits against Saudi Arabia in the the US courts for its alleged involvement in the 9/11 events. In addition, Saudi Arabia was shocked by the announcement that Washington would release the 28 classified pages of the investigation report on the tragic events that occurred in New-York back in 2001. That’s where Riyadh decided to go all-n. In April, the Minister of Foreign Affairs of Saudi Arabia Adel al-Jubeir announced during his visit to the US capital that Riyadh would be forced to sell 750 billion worth of US Treasury obligations to avoid the situation when they are getting frozen due to the continuous allegations that Saudi Arabia had something to do with the 9/11 events. Washington’s response was well-planned and truly cunning, since on the one hand the Obama administration announced that it would do everything it could to prevent JASTA from coming into action, but at the same time it leaked the information about Saudi-owned assets in the US, noting that they do “only” cost 119 billion dollars, thereby implying that it won’t be much of a tragedy if those are to be sold. For a brief moment it seemed that the storm was over, especially after the visit of Saudi Crown Prince, Mohammed bin Salman to the US, but it wasn’t. In July, Washington released the 28 pages that had nothing but vague allegations that Saudi officials were sponsoring terrorists, and then, on September 9, the US House of Representatives adopted the proverbial JASTA. And here’s where the real crisis erupted. Saudi reaction was not instantaneous, but it was harsh. The chairman of the Shura Council (Saudi parliament) Abdulaziz Al-Sheikh announced on September 14 that this decision contradicts the international law and will lead to the rise of radicalism in the Arab and Islamic world. It’s symbolic that less than 24 hours before him the Secretary General of the Organisation of Islamic Cooperation Iyad bin Amin Madani called the newly adopted act a shortsighted decision. He was echoed by Secretary General of the Arab League, Ahmed Aboul Gheit, who stressed that JASTA would contradict the provisions of the UN Charter, therefore he expressed his hope that the US administration “would not go along” with the addoption of this “shameful” act. In turn, the Secretary General of the GCC Abdullatif bin Rashid al-Zayanii, noted that should the bill be signed, it will become a “dangerous precedent” in international relations. A number of somewhat similar reactions was voiced by other regional allies of Riyadh – the United Arab Emirates, Morocco, and Jordan. In other words, we’ve got a major scandal on our hands, that was deliberately launched before Obama’s final bow. What were US authorities trying to achieve with this? One can not fight the impression that there are forces in Washington that were eager to show the once faithful ally “its place.” The question is – have they gone too far, since there’s a risk that the whole situation can now backfire against those forces.